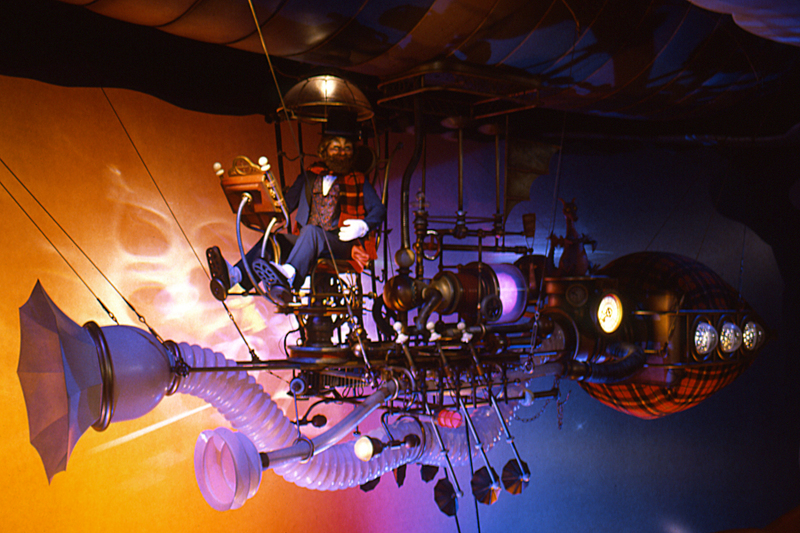 When the original Journey Into Imagination opened at EPCOT Center in 1983 it included an incredible opening sequence featuring Dreamfinder and his flying machine. 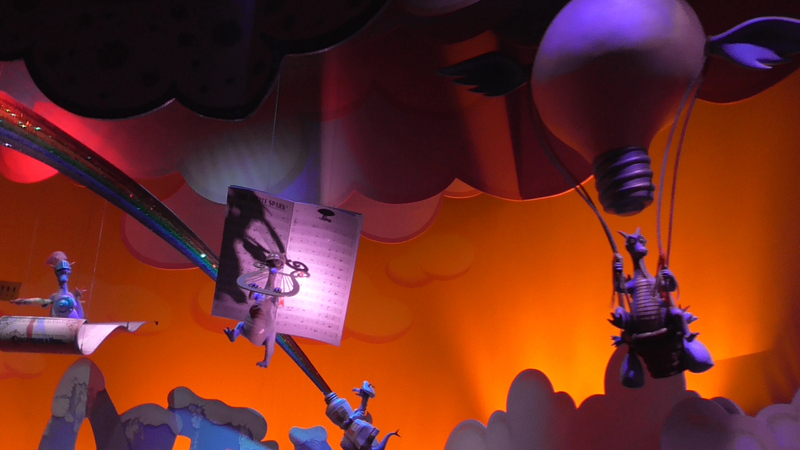 The ride vehicles would encircle a loop of track for nearly three minutes during this opening scene while Dreamfinder and Figment talked about imagination and turning little sparks into new ideas. 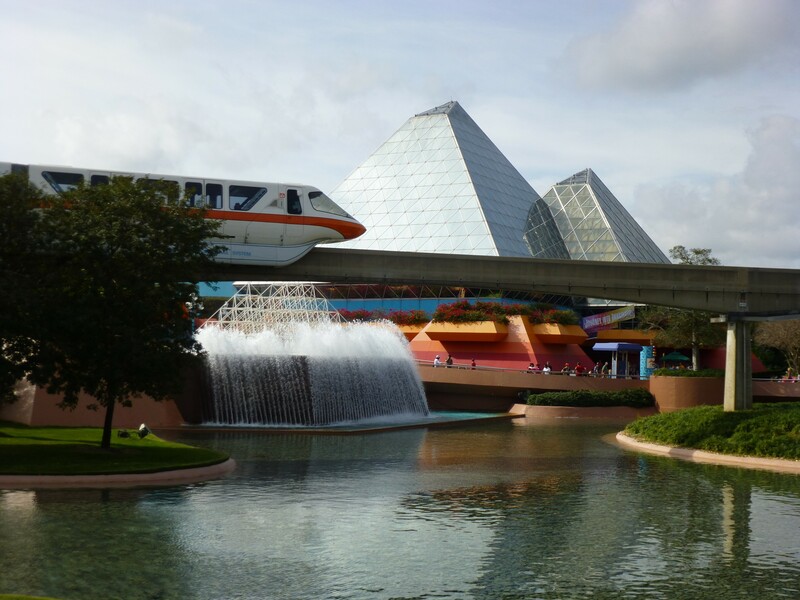 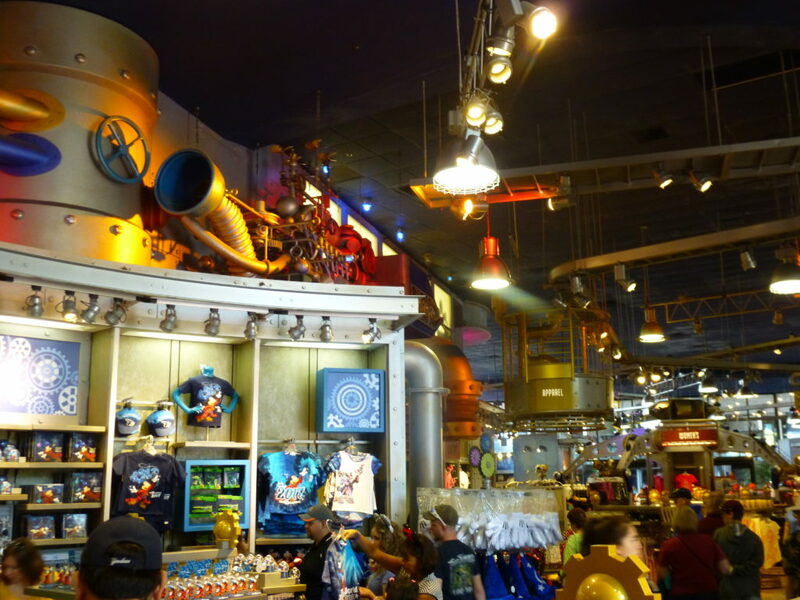 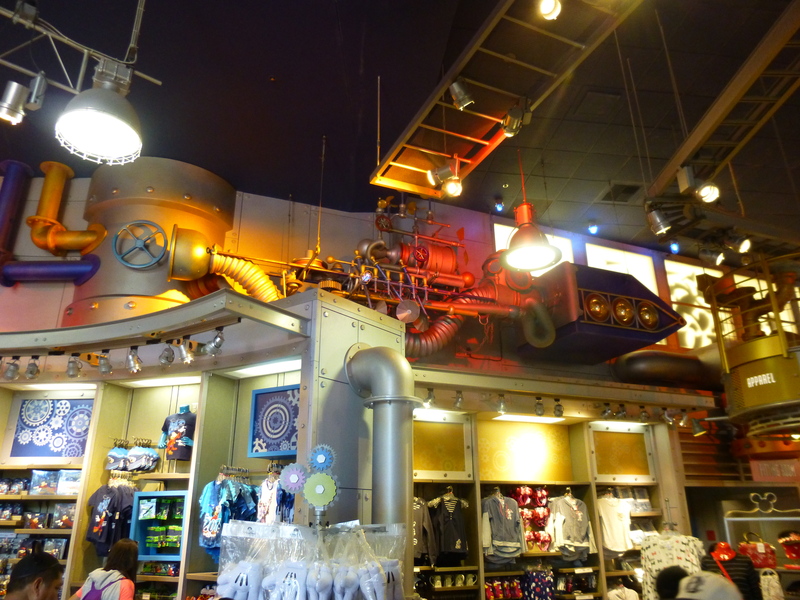 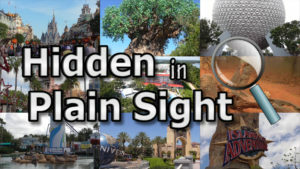 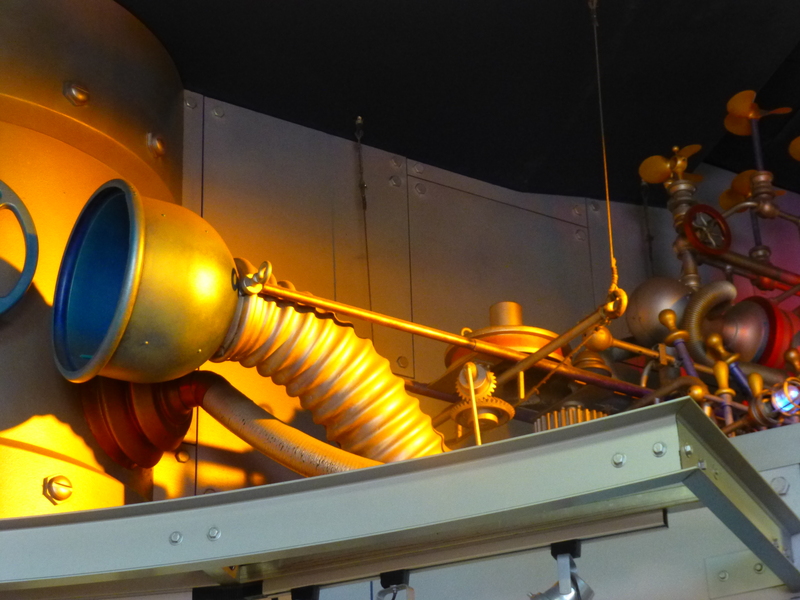 You can still see the airship hidden in plain sight at Epcot’s main gift shop, Mouse Gear. 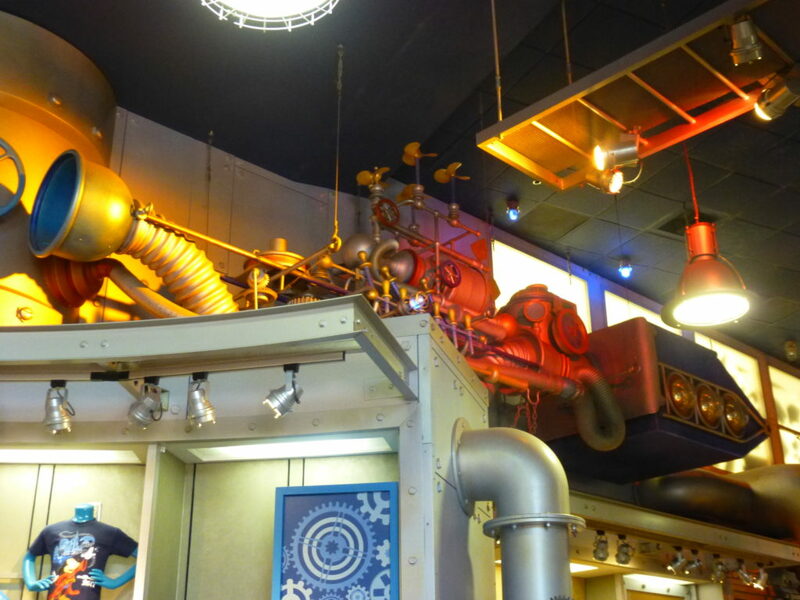 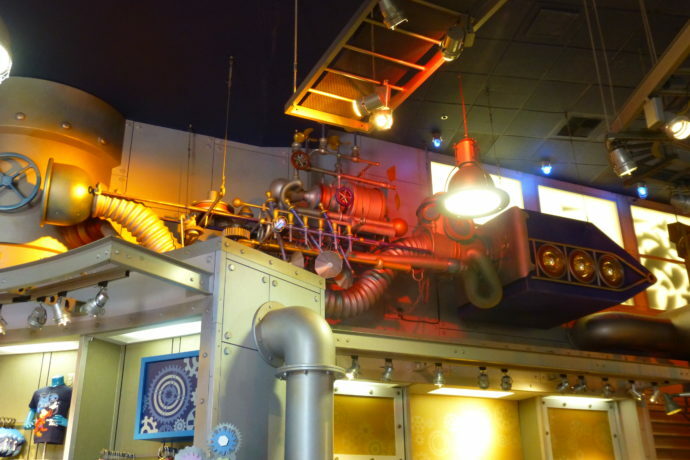 It’s located near the ceiling in the middle of the store, among all the gears and steampunk decor. 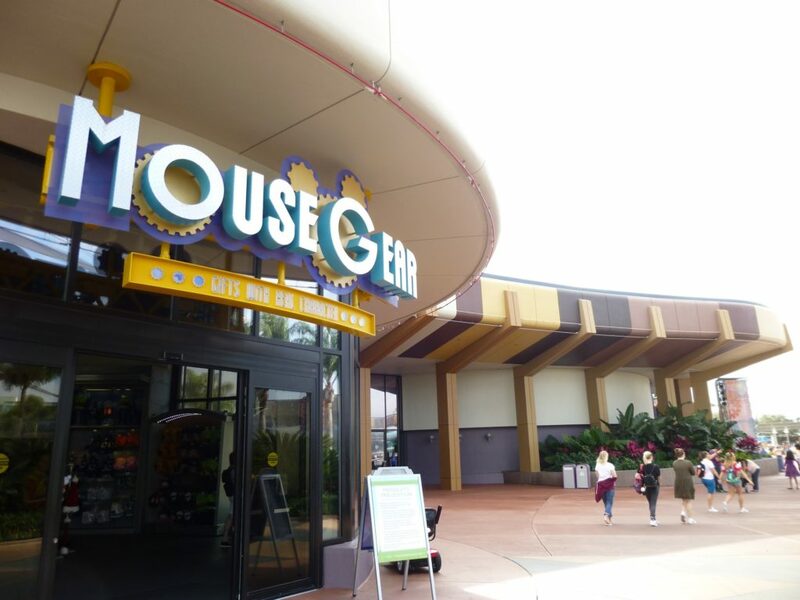 Mouse Gear originally opened in 1999. 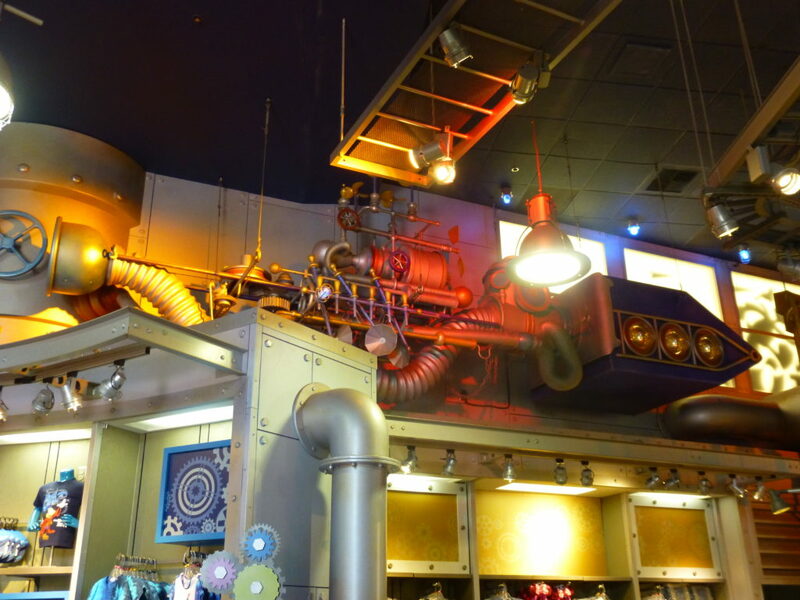 (Previously the gift shop was called Centorium, and was two stories tall with a glass-enclosed elevator in the center.) The first update to the ride was also in 1999, transforming it into Journey Into YOUR Imagination (and officially ruining the ride.) 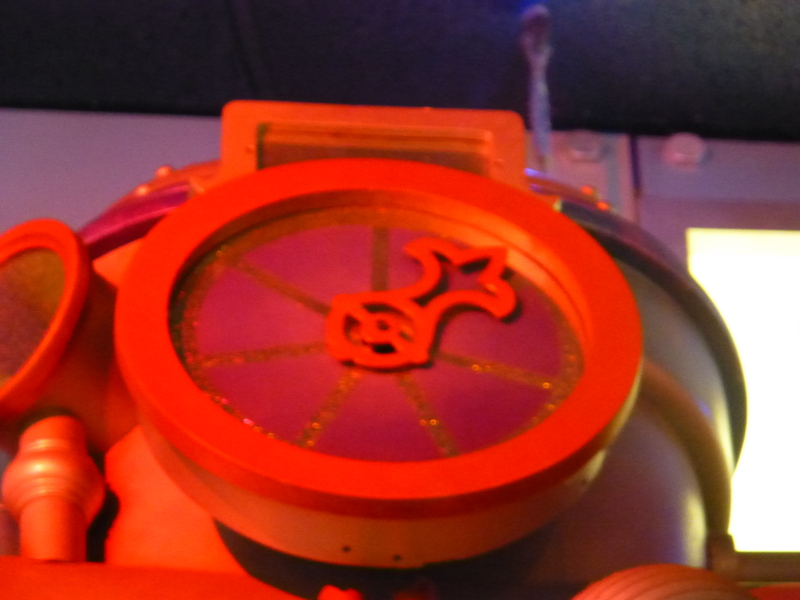 That’s about when the slightly altered ship was moved to its new home. Mouse Gear was updated in 2011, but the ship survived the revamp and remains there to this day. 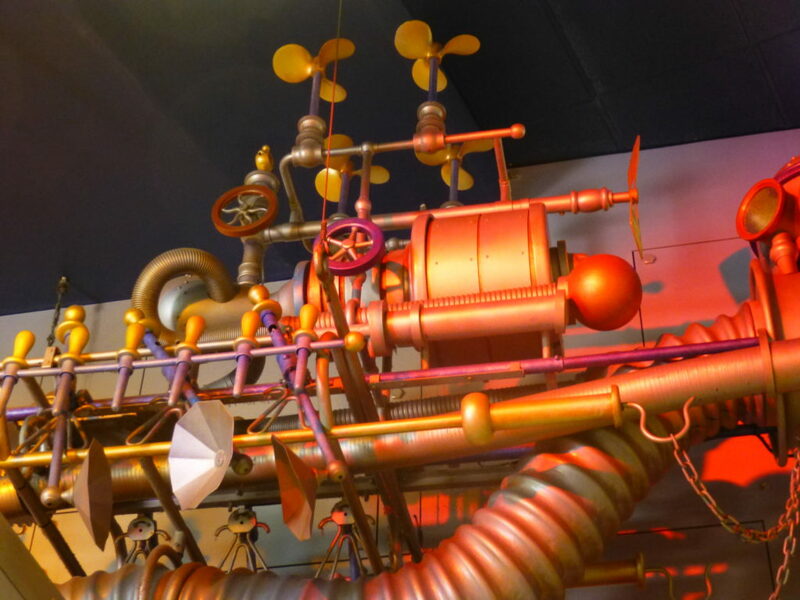 Check out the video above for more information, including a brief history of Dreamfinder’s ship from the ride to now, and check out the photographs below as well! 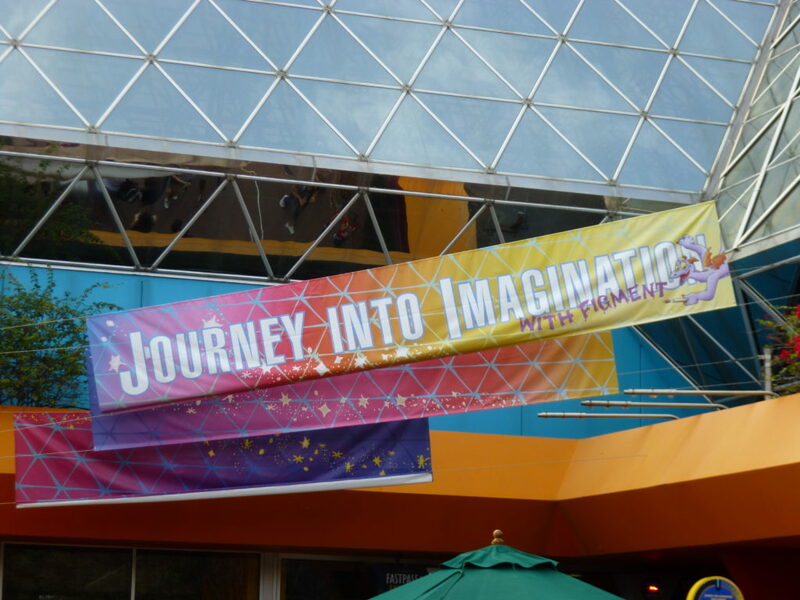 Welcome to the Imagination Pavilion! 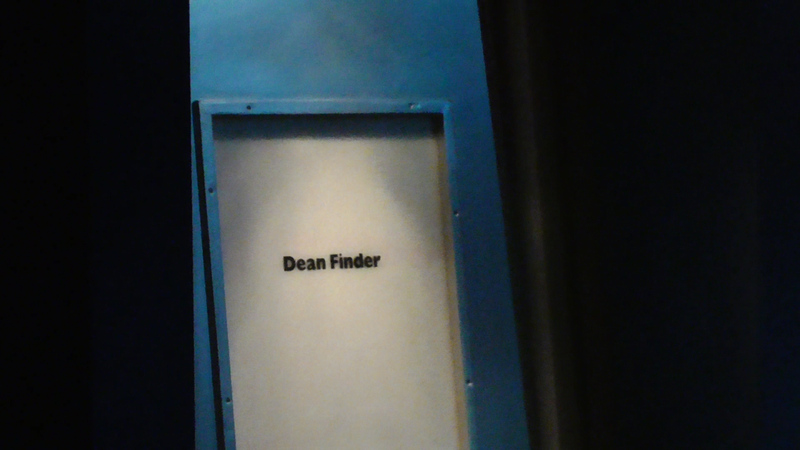 After the first scene there’s a door that has the words “Dean Finder” on it, I believe this is a nod to Dreamfinder and the original ride. 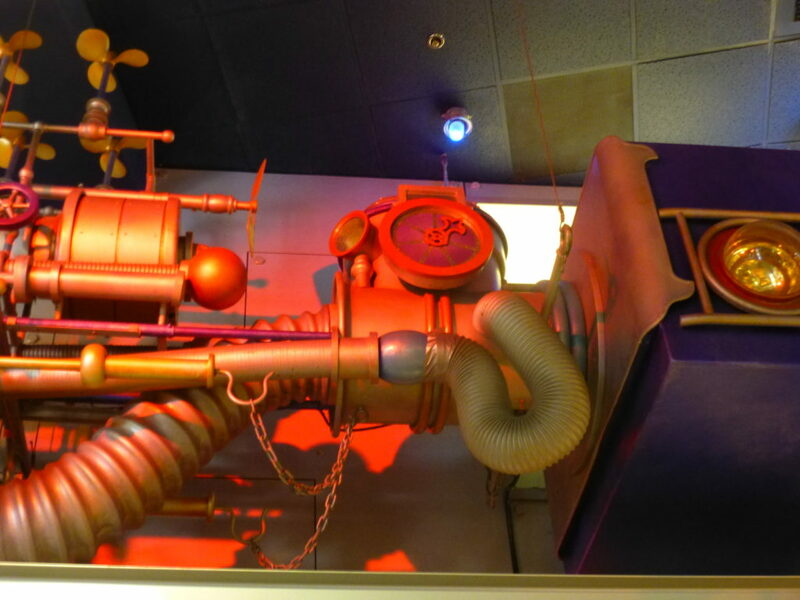 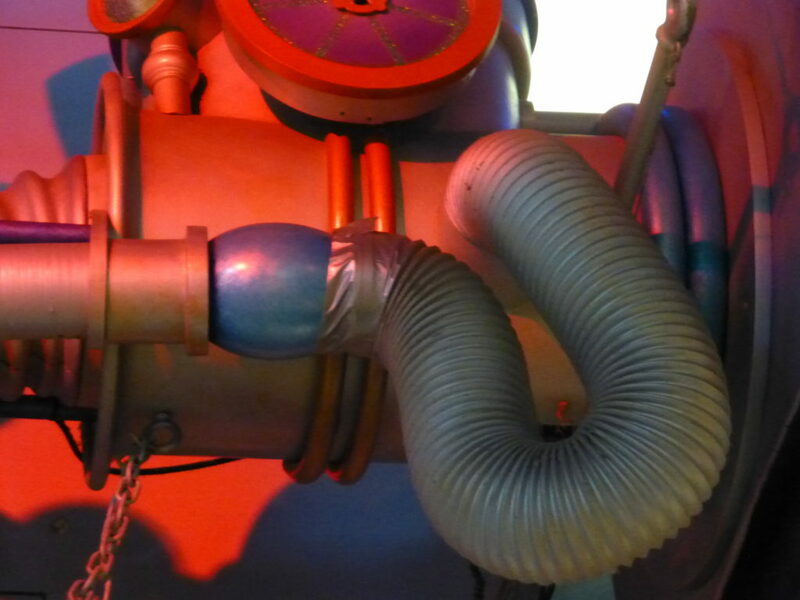 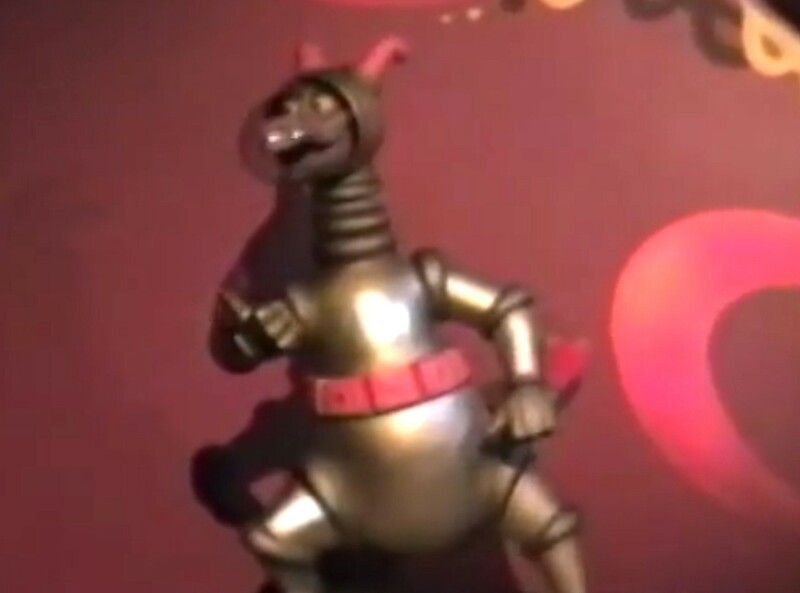 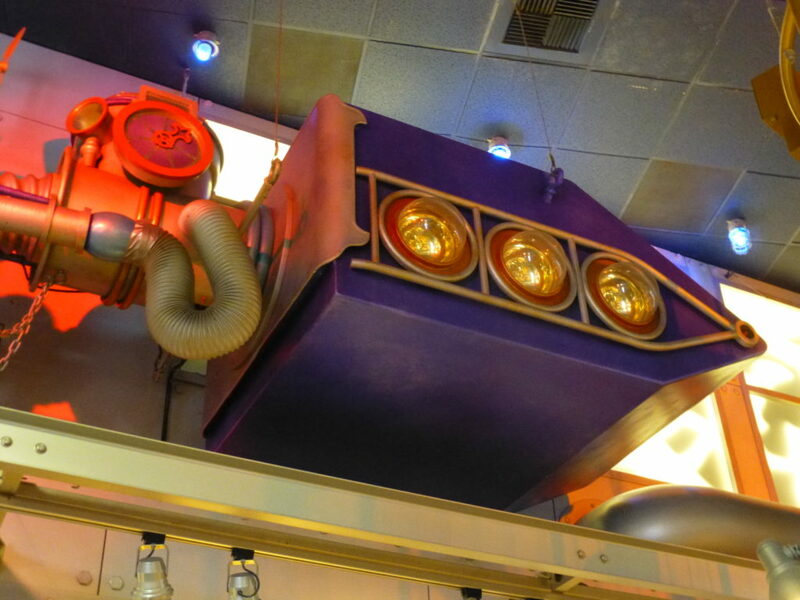 On the way out, in the final scene, you’ll see a hitchhiking space-Figment figure. 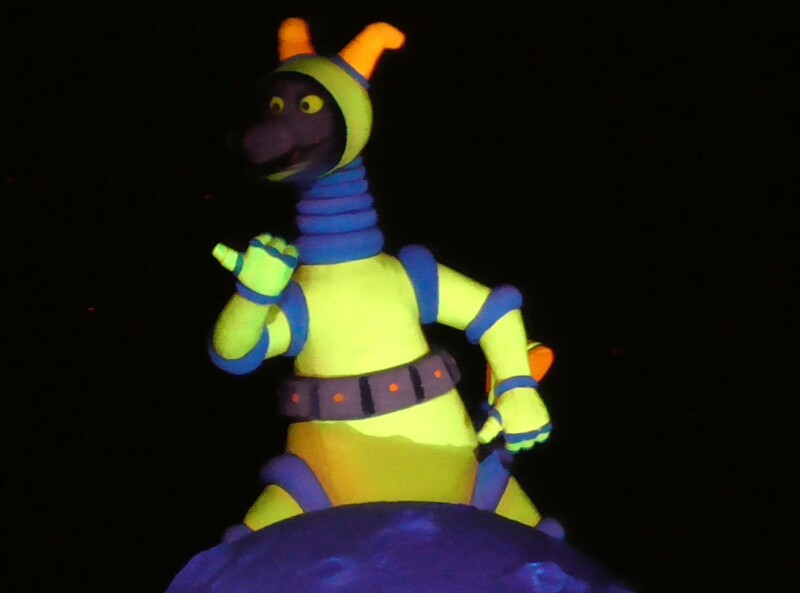 You may recognize this character as one from the original ride, only repainted bright yellow. 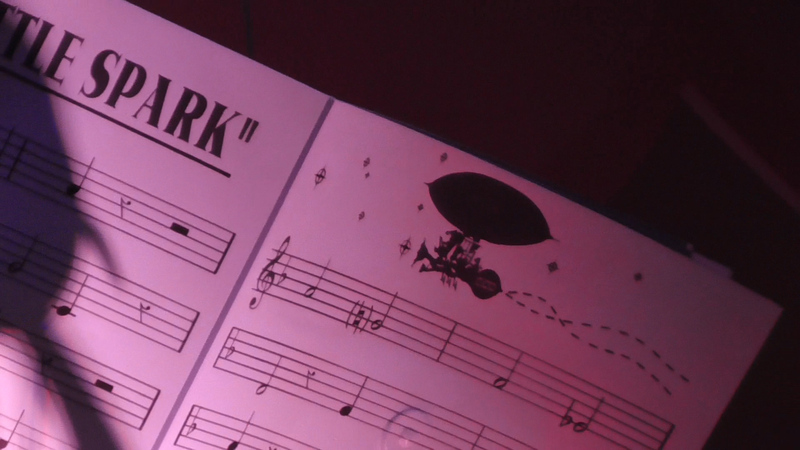 You can watch a full ride-through of the current ride in the video below.